This article discusses the apostille procedure and the full legalization procedure for documents issued in Maryland. Each state determines their own apostille and legalization procedures, and you should check with the appropriate authorities in that state. A roster of Secretaries of State and links to each state’s Secretary of State website can be found here, at http://www.nass.org/about-nass/alt-roster-2016/. If a private or state/county-issued document, determine which state and department the document was issued in, as applicable. 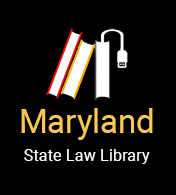 This article will discuss Maryland’s apostille and full legalization processes. Please note that as each state determines their own apostille and legalization procedures, you should check with the appropriate authorities in that state. Most state’s Secretary of State websites list their state-specific requirements for an apostille. 1. The document must be notarized by a Maryland notary. 2. The notary’s signature is then authenticated by the Clerk of the Circuit Court in the county where the notary was commissioned. The county’s name can be found imprinted on the notary’s seal. EXAMPLE: If a Baltimore City notary notarizes the document, the document must then be sent to the Baltimore City Circuit Court house for authentication because that is where the notary was commissioned. Note: If the document was certified by a Circuit Court clerk other than the current clerk of the Circuit Court, call the Office of the Secretary of State at 410-974-5521 to confirm that the document can be apostilled. 3. The document then must be mailed or personally delivered to the Office of the Secretary of State in Annapolis for an apostille or authentication. For cost, requirements and address, please see below. 5. For a full legalization, the document then must be mailed or personally delivered to the U.S. Department of State Authentications office in Washington, D.C. for an authentication. For cost, requirements and address, please see below. 6. The document then must be mailed or personally delivered to the foreign country’s consulate office for the final authentication. Costs, requirements and addresses vary depending on the consulate. 1. Obtain a certified original document or a certified copy from the issuing state or county department. To be certified, the document must have the seal and authorized signature of the issuing department. 2. The document then must be mailed or personally delivered to the Office of the Secretary of State in Annapolis for an apostille or authentication. For cost, requirements and address, please see below. If the document requires an apostille, this is the last step. For state-/county-issued documents, the Secretary of State issues an apostille and the document is now ready to be used in foreign jurisdictions. 3. For a full legalization, the document then must be mailed or personally delivered to the U.S. Department of State Authentications office in Washington, D.C. for an authentication. For cost, requirements and address, please see below. 4. The document then must be mailed or personally delivered to the foreign country’s consulate office for the final authentication. Costs, requirements and addresses vary depending on the consulate. If you are overseas and require a Maryland apostille, it may be helpful to obtain a cashier’s check in U.S. currency at your nearest foreign bank. 2. Cover letter indicating which country the document(s) will be used for. 3. Self-addressed, pre-paid envelope for the return of the apostilled document(s). Fed Ex, UPS, and Certified Mail are all accepted methods for sending and returning documents. If the certification is completed in person, any form of payment is accepted: personal, cashier’s or business check, money order, cash, and credit cards with a minimum charge of $10.00. Certifications are typically completed while you wait.